Take a break from the daily grind. Take some time out with your beverage of choice and spend it with a friend. Spend it with your Friend. The Lord wants our company. He invites us to meet Him in His Word with our “cup”—our self—a vessel created and chosen by God, redeemed in Christ, and ready to be filled to the brim with God’s Good News. Take time to sip, savor, and drink deeply of these thirty short devotions and the Word that inspired them. And receive the outpouring of His grace, His joy, and His peace! Seven coffee shop–inspired recipes are included for you to make and share with a friend or enjoy yourself. This energizing devotion book, overflowing with God's grace, will warm any part of your day! 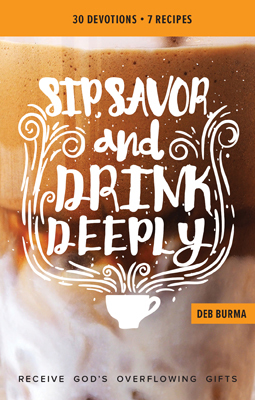 Even better than a coffee break is a coffee break with "Sip, Savor, & Drink Deeply". Be refreshingly filled with the promises of God's Word. 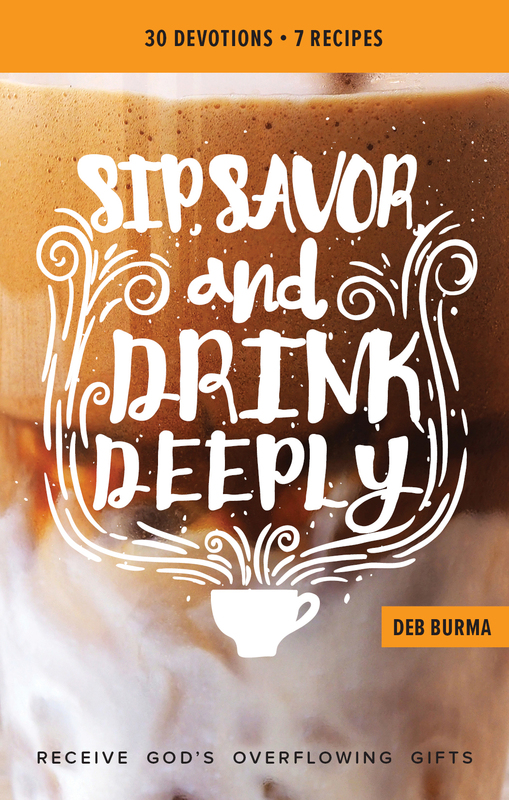 In addition to the 30 uplifting coffee themed devotions, this book contains seven yummy recipes. Perfect to tuck into your purse or add as an extra little present for someone.